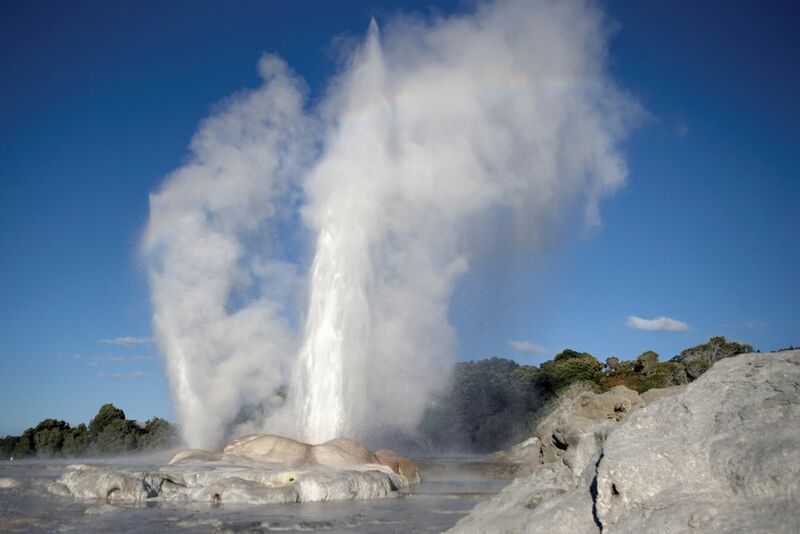 Grandiose, world-famous natural beauties await you in Australia and New Zealand. Immerse yourself in the two cultures! ... awaits you sun and exuberant mood, e.g. on the Coromandel Peninsula in New Zealand. 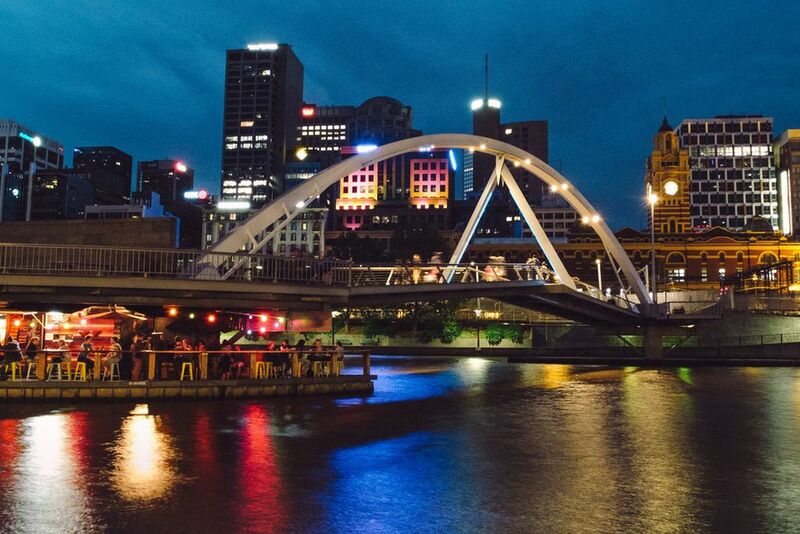 Your first stop is the trendy scene metropolis Melbourne. Here your round trip starts. "Cosmopolitan and trendy" - that's Melbourne. A good start on your journey or what do you think? 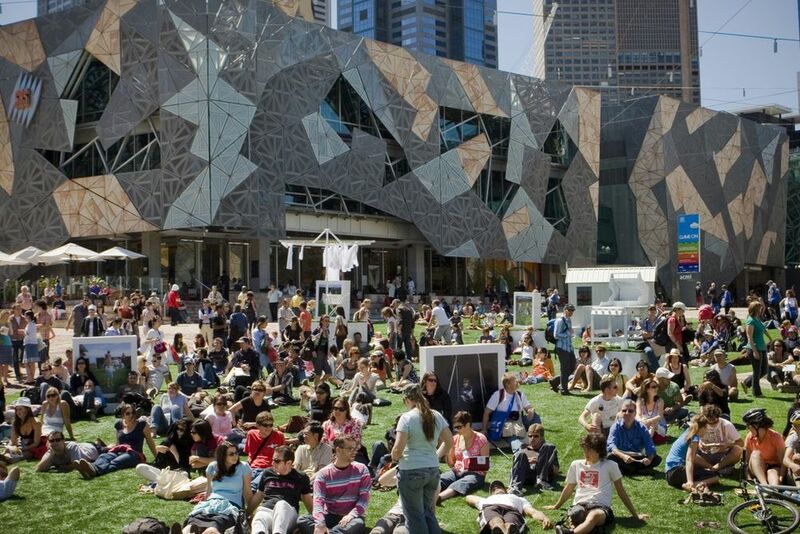 Federation Square is the cultural heart of Melbourne. Whether it's a concert or show - there is always something going on here. Melbourne is, of course, a perfect starting point to the Great Ocean Road. You should plan a trip here. What exactly is there on the Great Ocean Road? The famous formations of the 12 apostles - fantastic photo motifs are guaranteed here! 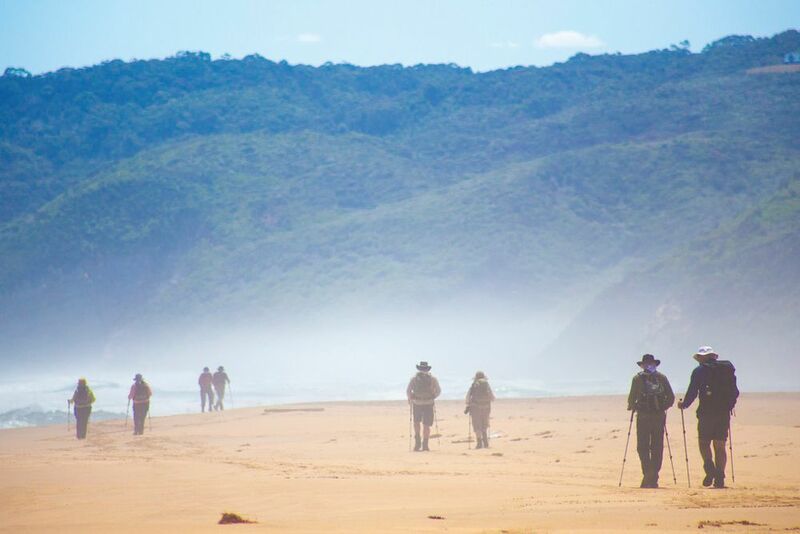 The beach on the Great Ocean Road is the perfect spot for a Sunday stroll that you will certainly not experience every Sunday. 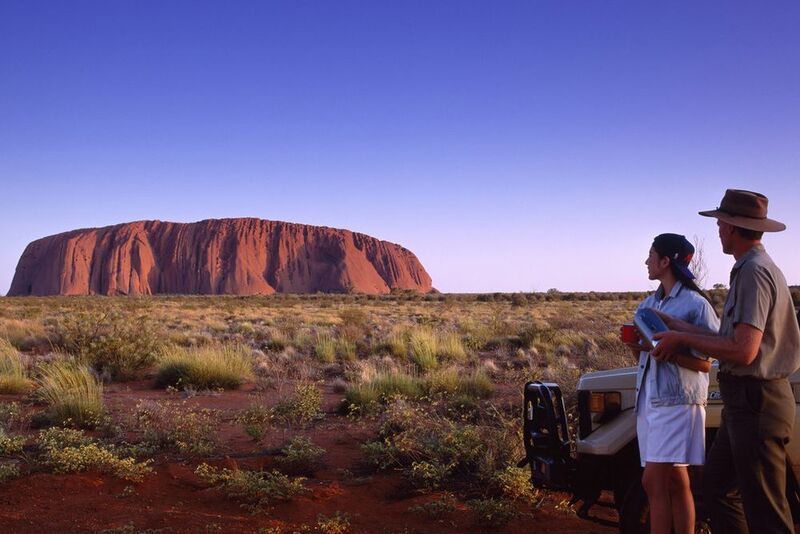 Your next stop is the world-famous "Red Center", the mystical Uluru. How about a Kamal ride through the desert? Just book it with us! You can also book a trip to the mountain group of Kata Tjuta from our "experiences". After a sandy stay in the center of Australia, you'll go to the tropical north, to Cairns! The perfect oasis and a mix of city and nature awaits you here. Fancy kangaroos up close? 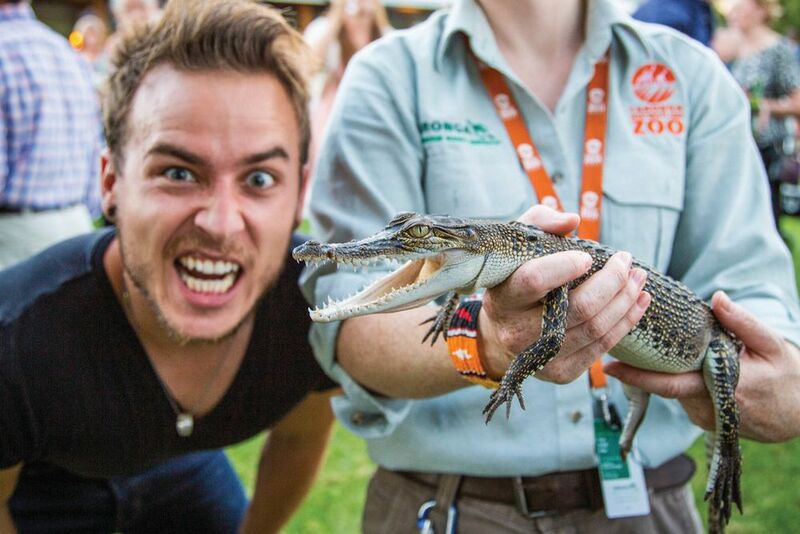 On your next stop in Sydney, you will have enough time to see the cute animals up close. 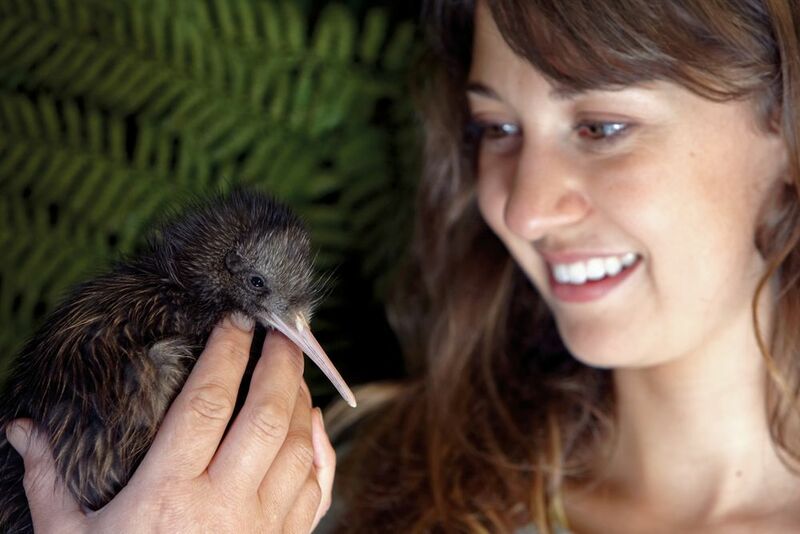 Your journey will then continue to the kiwis: it's time to go to New Zealand! 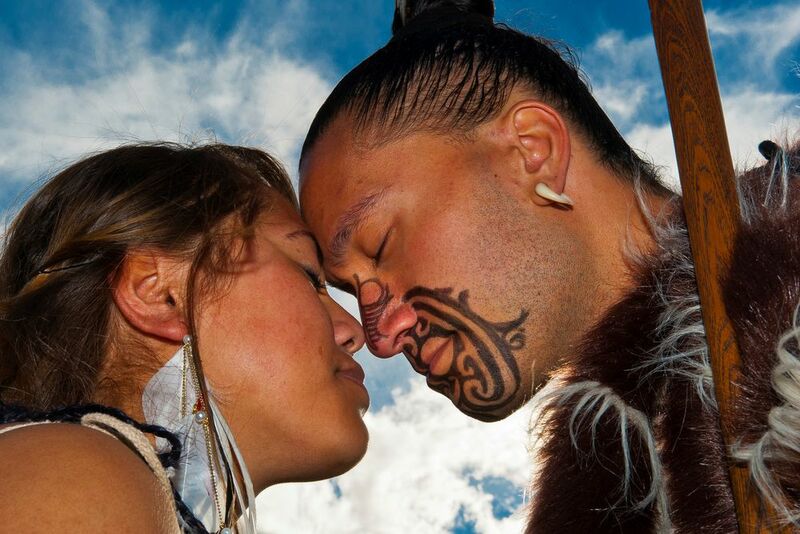 Your first stop in NZ is the large, multi-faceted and multicultural Auckland. 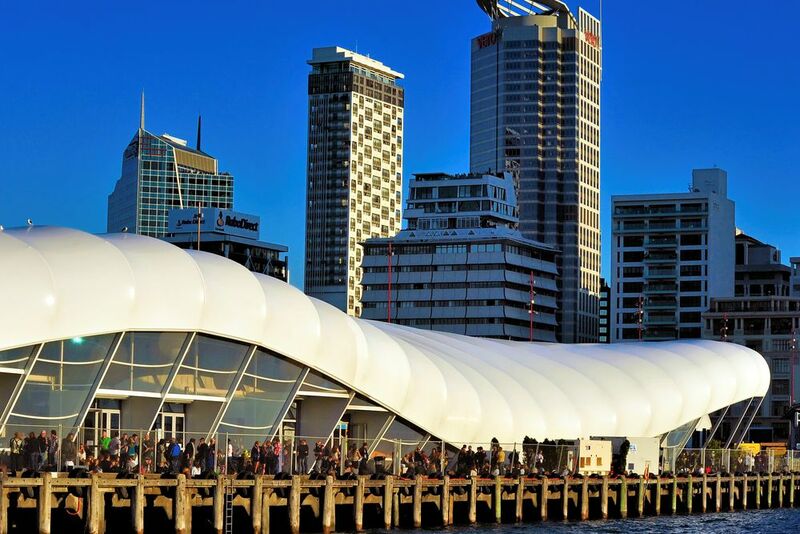 How about a 360-degree view over Auckland today? 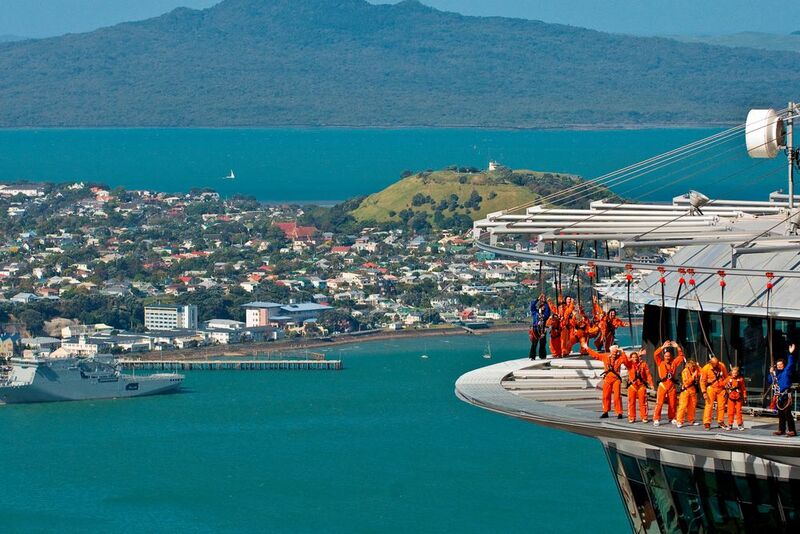 No problem on the Sky Tower! Drive on to the Coromandel peninsula with rental car. Diving in Cathedral Cove - a natural rock arch. Words will no do it justice, you just have to experience it. Beach walks are best when the sun goes down, right? But now the complete opposite: From the dream beach you'll go to Rotoura - volcano and Maori culture stronghold at the same time. A volcanic experience is on your itinerary. It steams and bubbles everywhere. Hungry from sightseeing? Have a picnic of a different kind. Capital flair - from brodelden volcanoes, you will plunge into the bustling city life. 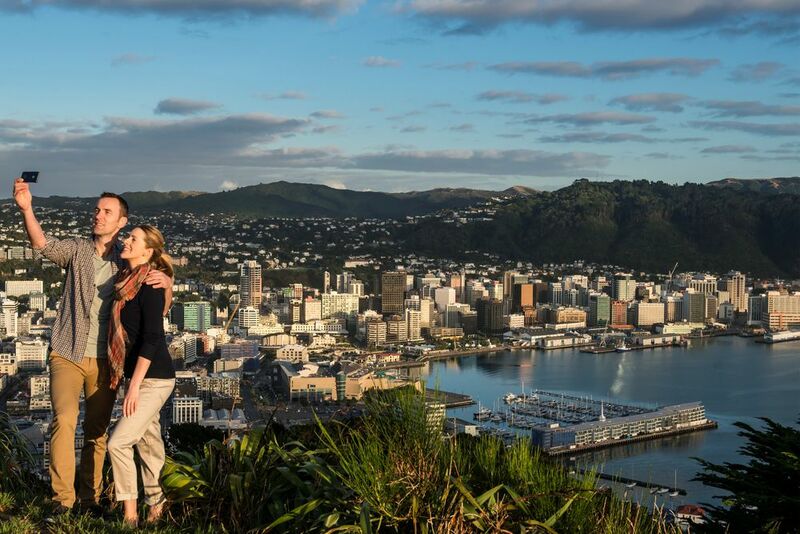 New Zealand is well known and loved for its natural beauties. Now you'll continue to the South Island. In New Zealand, all landforms can truly be found again. 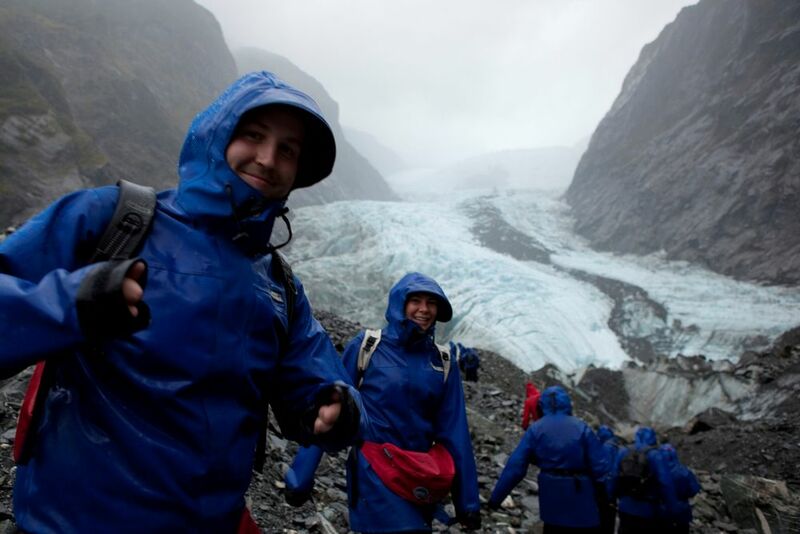 From the Golden Sands, we now head to the icy glacier to Franz Josef. 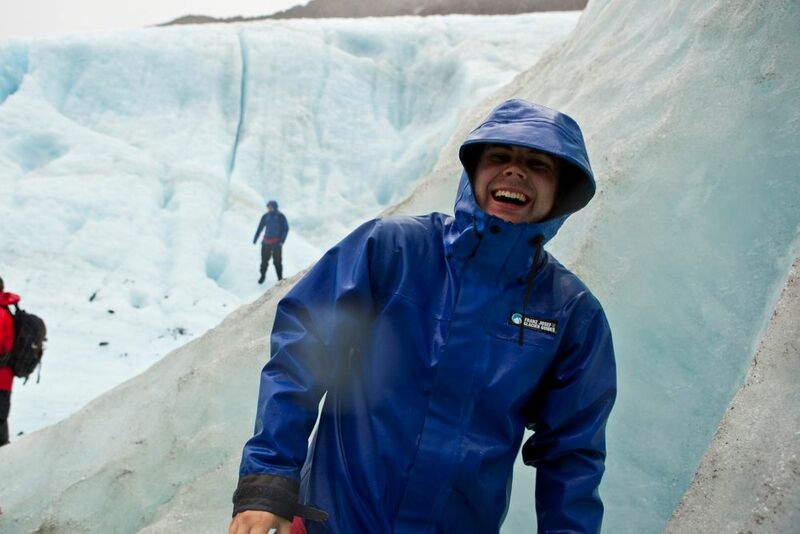 This natural wonder is one of the lowest glaciers worldwide. Get close! 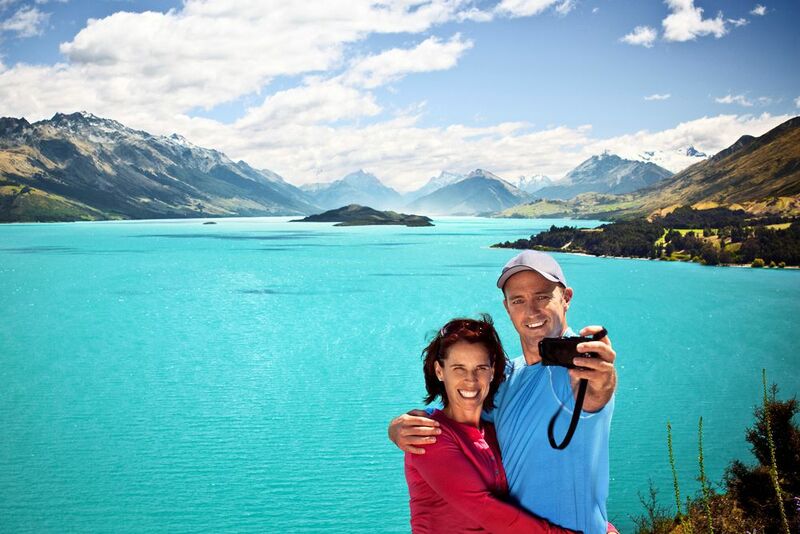 Your trip is coming to an end, but you can once again enjoy the film setting scenery on Lake Wakatipu. Do you still need to walk through Queenstown landscapes? Let's go! Do you dream of a trip to the 5th Continent and have always wanted to fly to the end of the world? This is the trip for you! Experience an exciting time in the metropolises of Sydney and Auckland and spend unforgettable days in the Central Australian desert. 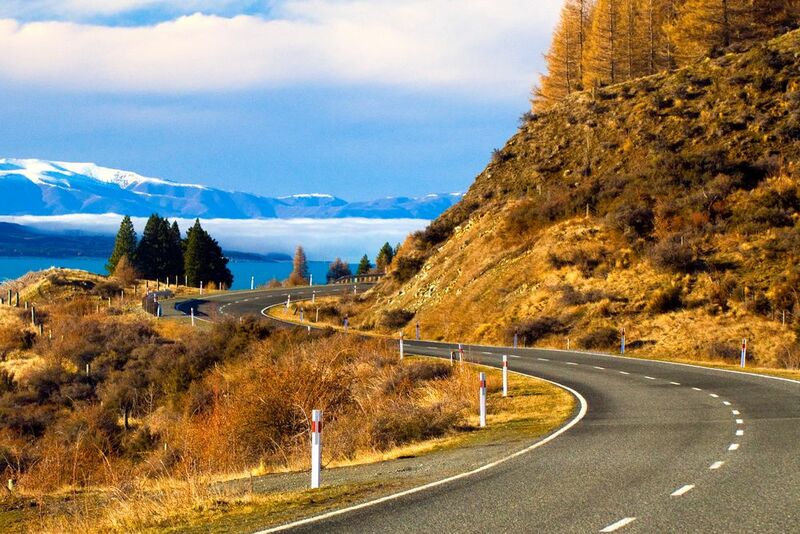 Following in the footsteps of the Lord of the Rings Trilogy in New Zealand, drive your own rental car along the North and South Isles, see fabulous coves, relax in New Zealand's smallest national park and have a blast in the adventurous Queenstown - an indescribable adrenaline kick awaits you. Day 1: Arrival in Melbourne - Hello, "Down Under"
After breakfast at the hotel, you will have the opportunity to explore Melbourne at your own pace. Known as a trendsetter, Melbourne is not only home to 4 million "Melbournians", as the locals affectionately call it, but also numerous fine Victorian buildings on Collins Street. It should be mandatory to visit to Australia's oldest train station, Flinders Street Station, and the Federation Square - a popular meeting place for locals and tourists, with daily multicultural events and festivals. 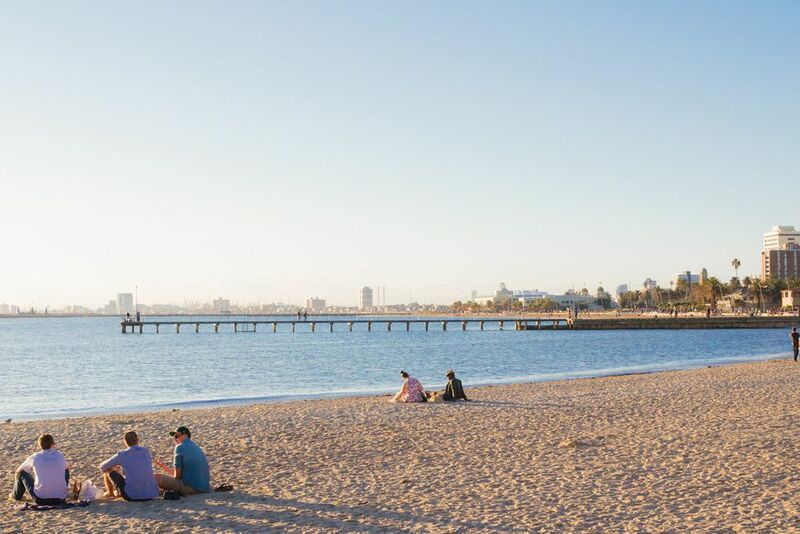 Relax in the trendy St. Kilda district, where you will meet many locals in the early evening, and you can wrap up your night with a cool beer on the beach. Our tip: In St. Kilda there are numerous so-called hole-in-the-wall bars. These are small, hidden bars with ever-changing locations. Where exactly do you find these? Ask the locals. You can also go on a trip to Phillip Island, a natural paradise where you can observe not only small penguins and seals, but where there are great options for water sports. 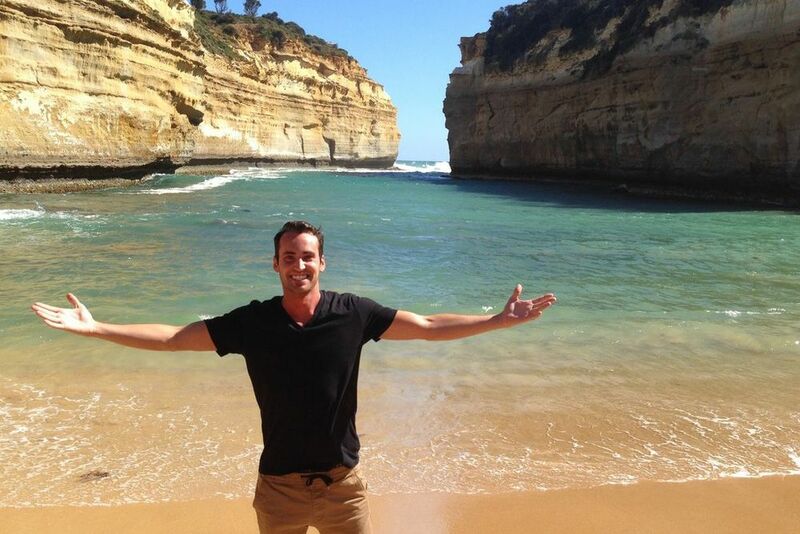 If you feel like visiting the Melbourne area, plan a trip to the famous Great Ocean Road in your trip. This winding road is the equivalent of Route 66 in the United States. The 345-km-long coastline offers breathtaking views over endless beaches and steep cliffs. 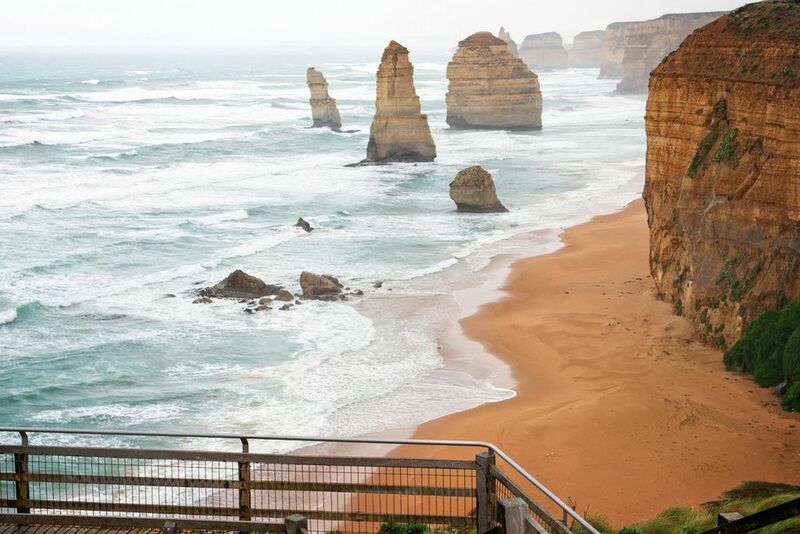 See the world-famous Limestone Formation of the 12 Apostles - the emblem of the Great Ocean Road. Up to 65 m high, 12 limestone formations rise out of the water and form the most spectacular part of the wild cliffs. Ayers Rock, the landmark of the 5th continent, is Australia's most famous mountain and a sacred Aboriginal site. You will experience a spectacular play of colors at sunset and sunrise, when the mountain of Acrose sandstone in appears in different shades of red. For the Aborigines, the mountain is considered sacred and is called Uluru, which means "seat of the ancestors". Many legends and myths fought for the mountain. 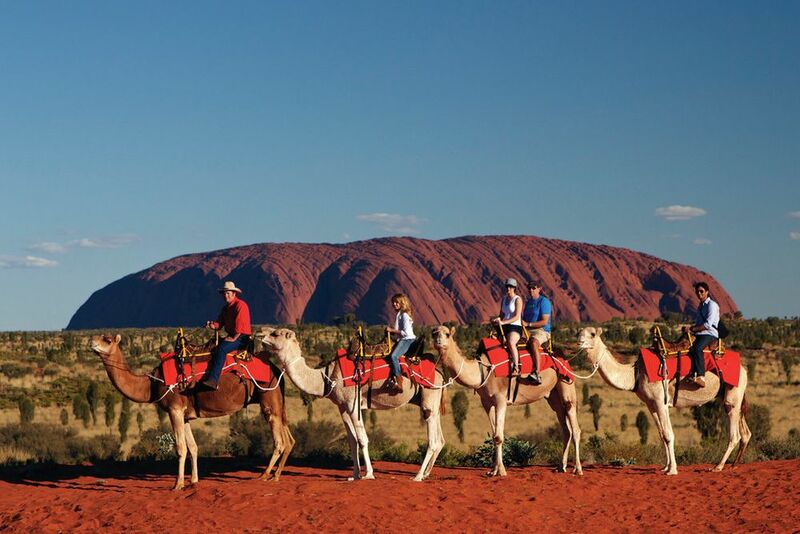 Learn more about the Outback of Australia on a camel ride through the red dunes and take a trip to the mountain group of the Kata Tjuta at sunrise or sunset (optional). Daintree Rainforest. Experience unique biodiversity and observe rare animals such as musky rat-kangaroos, rainforest lizards and bright butterflies. Encounter the mangrove-fringed Daintree River crocodiles and listen to the song of prehistoric birdlife. An exciting experience during your Sydney visit is Chinatown. You will, of course, find plenty of Chinese restaurants and shops here, but one interesting detail is the bilingual street signs. The Sydney Tower, an observation deck, is not to be missed. Look over the rooftops of the world metropolis and let the enticing view from the turmeric restaurant take its toll on you. Tip for the adventurous: the approx. 1.5h lasting Skywalk on the roof of the tower. 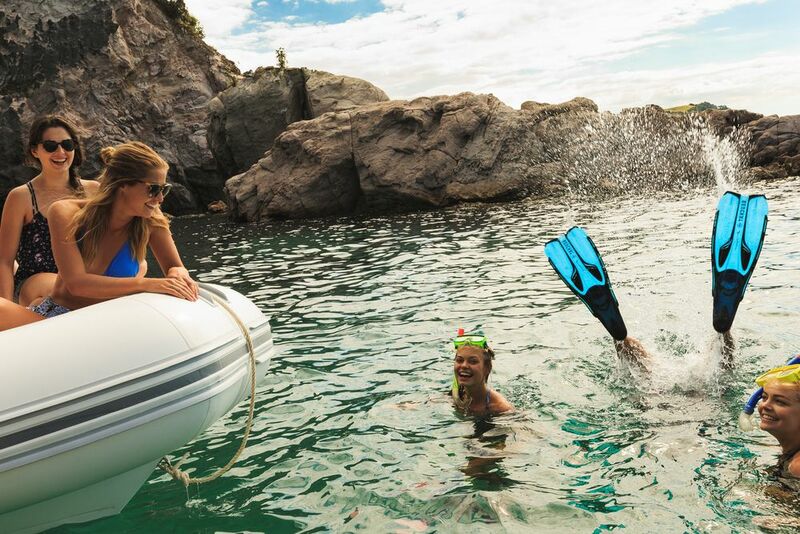 We promise you that this experience will be remembered throughout your life. Find the perfect souvenir for your trip at "Paddy's Market". While Paddy's Market has more of a flea market flair, the overlying Market City is full of shops, restaurants and a movie theater. Tip: At Observatory Hill, not only do you have the opportunity to see the glorious city from a different perspective, but you can also experience nightlife as the Aborigines explain the creation of the southern starry sky. Fittingly, you can admire the stars over Sydney through a reflector telescope. A truly unique experience. You will, of course, also connect with Sydney from the beach and the sea. You can enjoy an early 100 km wide coastline with about 30 beaches. Bondi Beach is one of the most popular beach areas in Australia and belongs to the National Heritage List since 2008 . Only 10 km from the city center, there is a real surfing hot spot and very popular with tourists and locals. The ultimate experience is up to you. After breakfast at the hotel, guests can explore the popular tourist destination of Whitianga. Located in Mercury Bay on the east coast of the Coromandel Peninsula, the thriving town is best known for its numerous fishing and water sports activities. Take time and relax on one of the most beautiful beaches of the peninsula and enjoy its surroundings. ** Tip:** Here you can also try freshly caught lobster at one of the many fish restaurants - a real treat for the palate. 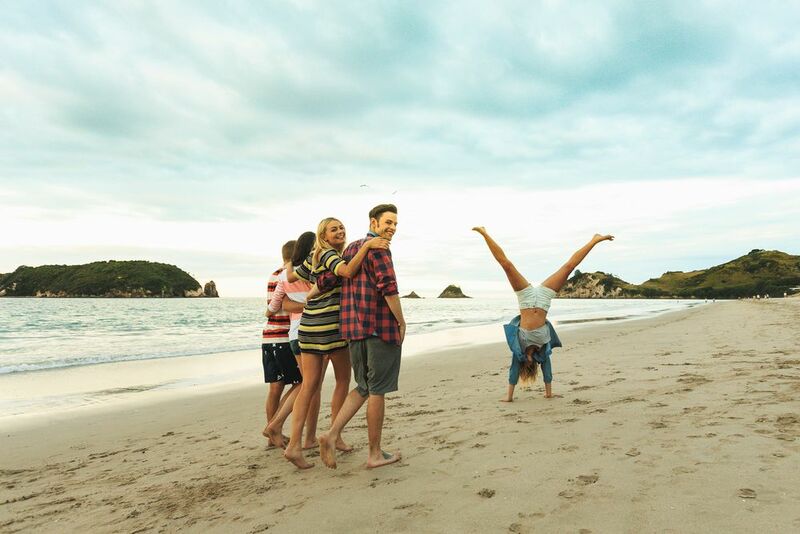 An absolute necessary activity is also a visit to the Coromandel Town. Known for its small colonial-style houses, today it is home to many artists, craftsmen and conservationists. Visit the well-preserved Victorian-style buildings and explore the tip of the peninsula. Another highlight of your trip is the famous ** Hot Water Beach. ** Under the beach, there are hot springs. At low tide, you can dig a hole, which then quickly fills with warm water. The Cathedrale Cove is just a short distance away- It is a natural rock arch, with a ceiling like a cathedral - which explains the name. Here you can unwind and let the day fade away after all sorts of experiences. 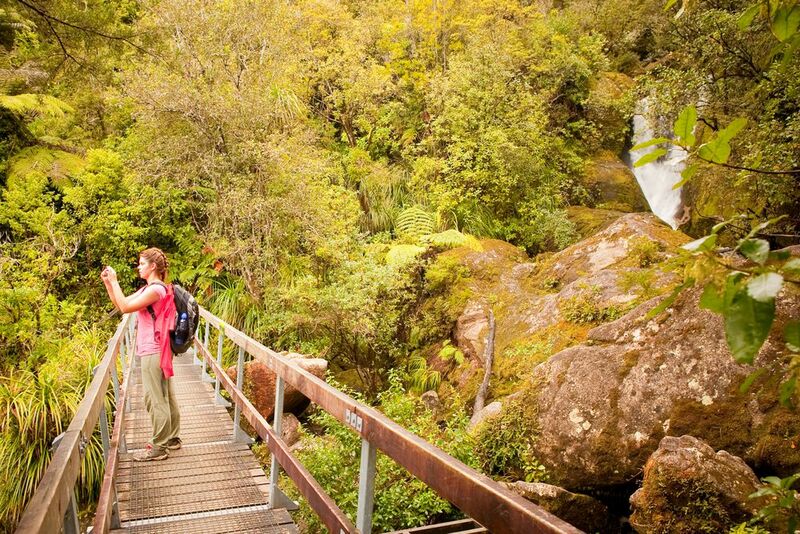 While hiking at the Karanghake Gorge, you can see many relics from the gold fever period. The trail follows the idyllic course of the Ohinemuri River. The 220 km² National Park on the north coast of New Zealand's South Island features numerous small exotic bays with fine, golden sandy beaches, Nikau palms and granite cliffs. For many, it is also considered the epitome of paradise, as its fine and golden beaches are almost exclusively accessible by boat. The way there leads you past beautiful sandy beaches, rocky coasts and also a few howling seals. From the landing place you will walk along lush green vegetation, thunderous waterfalls and also rivers whose water is so clear that every stone in the river is recognizable. Explore the national park by boat, kayak or on foot and experience a single vegetation and beautiful hiking trails with beautiful views over beautiful bays. 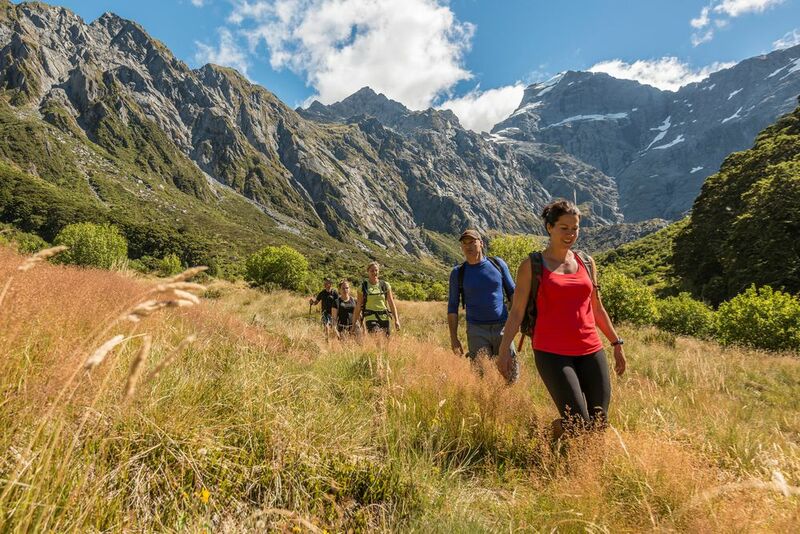 Today, visit the world-famous film locations of the "Lord of the Rings" trilogy in Middle Earth, and take the cable car to the Bob's Peak mountain station. A breathtaking view over the capital of New Zealand, as well as over Lake Wakatipu, await you here. A special highlight is the visit to the old gold-mining town of Arrowtown. 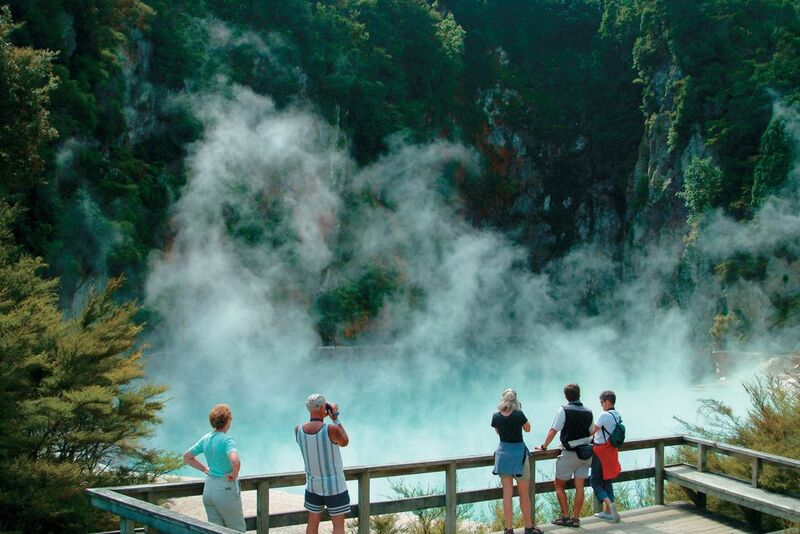 Dine in cozy restaurants, stroll through small shops and explore the Lake District Museum, as well as the many Chinese goldmine huts that are reminiscent of the many Chinese prospectors who settled in New Zealand in 1870. Today your journey through New Zealand ends. You'll drop off your rental car at the Christchurch airport and fly home with wonderful and memorable memories and great photos. itravel - For that moment. Hotel Lindrum * * * * *, Melbourne, Australia Belonging to the well-known MGallery Collection, Lindrum Melbourne is located in the heart of the city, just minutes from Melbourne's Federation Square. Overlooking the Botanical Gardens and the Melbourne Cricket Ground, Australia's premier and largest stadium, Lindrum Melbourne, offers personalized service and 59 stylish rooms and suites. 3 nights. Desert Gardens Hotel * * * * * , Yulara, Australia Built in the midst of the natural beauty of the Central Australian Desert, Desert Gardens has 218 modern rooms. Some rooms have a balcony overlooking Ayers Rock, where you can enjoy romantic hours at sunset. Visit the Bunya Bar, which serves delicious cocktails daily, or sample Australian specialties at the Arnguli Grill à la carte restaurant. 2 nights. Peninsula Boutique Hotel * * * * +, Port Douglas, Australia Located on the beachfront in Port Douglas, the 34-room Peninsula Boutique Hotel is the perfect haven for relaxation. Enjoy unique luxury and comfort combined with personal service and hospitality. 3 nights. Rendezvous Hotel Sydney The Rocks * * * *, Sydney, Australia This charming boutique hotel has 61 modern rooms and is located in the heart of Sydney's famous The Rocks district. It is just a few minutes' walk from the Central Business District with its small shops and restaurants, 15 minutes from Sydney's famous Opera House and 5 minutes from the Circular Quay Ferry Terminal. Relax in the outdoor heated swimming pool and take advantage of the hotel's various spa and fitness facilities. 3 Nights. Flaxhaven Lodge in the Standard Suite, Whitianga, New Zealand This boutique hotel is the perfect accommodation for discerning travelers in Mercury Bay. The Flaxhaven Lodge is very close to nature. Built in the midst of a green area, this small boutique hotel is surrounded by native plants and trees - an oasis of tranquility.Its ideal location allows you to reach good restaurants, small shops and fine sandy beaches in just a few minutes. The well-known Hot Water Beach, the small village of Hahei and the famous Cove Marine Reserve are just a few minutes' drive away.Love through the opposing nature reserve and experience unique bird species and a great panoramic view over the sea. 2 nights. Black Swan Lakeside Boutique Hotel * * * * *, Rotorua, New Zealand Situated on the shores of Lake Rotorua, the Black Swan Lakeside Boutique Hotel combines classic elegance with contemporary modernity. The eight luxuriously appointed rooms as well as the first-class service characterize the 5-star Boutique Hotel. This premier hotel features a 4-acre garden with a heated pool, private jetty and helipad, and a small rose garden. Relax in an exclusive and intimate environment and explore the treasures of the luxury hotel. 1 night. Museum Hotel Wellington at the Harbor * * * * +, Wellington, New Zealand This boutique hotel is located in the heart of the city opposite Wellington's beautiful harbor and New Zealand's National Museum, "Te Papa". The well-appointed hotel has 165 rooms and a spacious lobby with abundant New Zealand art decorations and a relaxing bar. The in-house restaurant, "Hippopotamus", serves French delicacies and offers great views of the harbor. 1 night. The Resurgence * * * * *, Nelson, New Zealand The Resurgence is a 5-star establishment closest hotel to the Abel Tasman National Park. Set on 20 acres of unspoiled land, this luxury resort is ideal for couples who love nature and good food. A relaxed, hospitable and child-free recreation is the accommodation completely. Enjoy the tranquility, stroll past river sources and explore the surrounding area. 2 Nights. Westwood Lodge * * * * +, Franz Josef, New Zealand Westwood Lodge welcomes you in the style of the New Zealand West Coast Interior of all 9 suites is made of natural wood elements. The suites are comfortably furnished and have a private bathroom with underfloor heating. Relax in the stylish Lodge Lounge and enjoy breathtaking views from the bar. 1 night. The Dairy - Private Luxury Hotel * * * * +, Queenstown, New Zealand This boutique hotel is located in the heart of the city, within walking distance of fine sandy beaches and the famous Queenstown Gardens. The Dairy Private Luxury Hotel, a former 1920s dairy store, now has 13 stylishly appointed rooms and is renowned for its first-class, personalized service. Relax after a day of memorable outdoor adventure or fine wine at the Honesty Bar. 2 Nights. Entrance fees in national parks or similar. Please note that the rental car cannot be taken on the ferry (Delivery: Wellington at the port / Acceptance: Picton at the port). Australia: Please note that in the states Queensland, Victoria and New South Wales (especially in the metropolitan areas of Brisbane, Melbourne and Sydney) have toll roads. The toll applies to all vehicles. The price depends on the vehicle category and the road section. The payment of the toll fee is almost exclusively cashless, as the Toll Roads are operated electronically. Since there is no central authority, you need to register your rental car separately in each of the states. The following information is required: Registration number of the car; the state in which the vehicle is registered, the car model as well as the travel data.